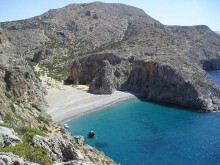 Agia Marina Crete is located 9 km from Chania city and is actually built along the continuous coast. 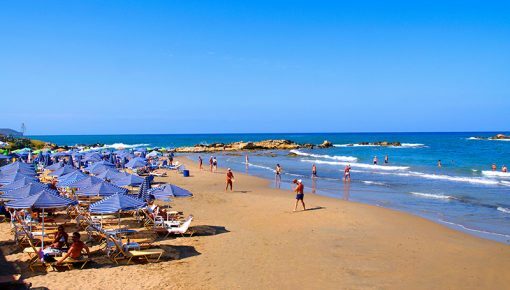 It has a sandy beach, beach bars and people who enjoy the day and night life which is active from May until October. Restaurants, cafeterias, bars and clubs compose the scenery of an alive part of Chania. 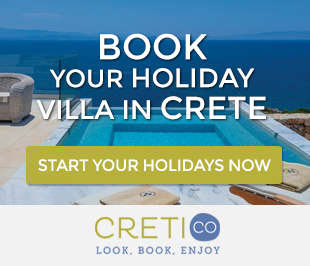 If you choose to rent a villa, Agia Marina Crete is a promising destination for unforgettable holidays. 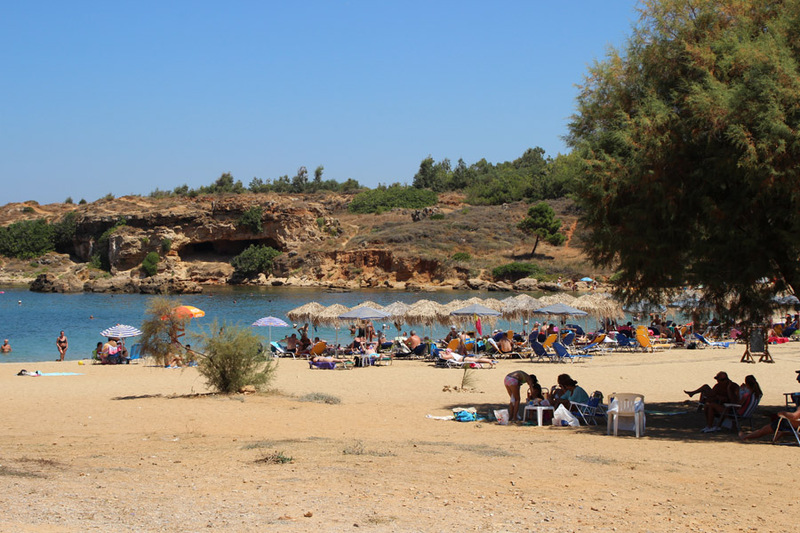 Agioi Apostoloi is consisted of two sandy bays with deep blue, clean water surrounded by greenery, with quietness as there are no hotel complexes around. So a holiday villa in the region of Agioi Apostoloi will offer you the calmness and privacy that you need. Pano Stalos and Kato Stalos are small settlements that they developed mainly the last years, just 8 km from Chania city. Pano Stalos is built on the hill and has a great sea and mountain view. It consists of villas with private swimming pools, small hotel complexes and nice restaurants. Kato Stalos has been developed along the coast. It is considered as a place full of life during the day and night. 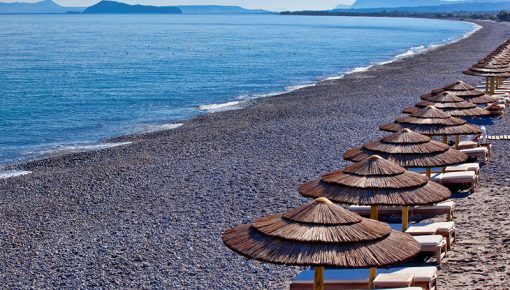 It has villas for rent, small hotels and apartments, taverns which offer tasteful, local dishes and a long sandy beach. Daratso of Nea Kydonia is a small, quiet village which is built amphitheatrically on the hill. It is located about 4 km from Chania city and only 1 km from the beach, so if you choose a villa in Crete for holidays, Daratso will offer you the chance to enjoy the combination of mountain and sea view, the sandy beaches and the picturesque center of Chania. Small Crete villa rentals in a deep green background located in this charming place offer you romantic, relaxing vacation. 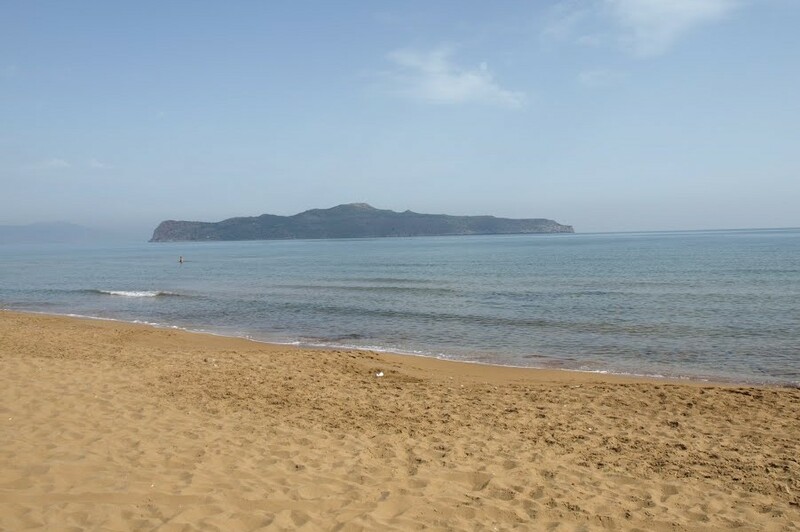 Posted on 26 Jul 2014 in Chania and tagged Agia Marina, Agioi Apostoloi, Beaches In Chania, Beaches In Crete, Stalos.